A blockchain startup is claiming it has developed an algorithm that can dramatically reduce the size of digital files. If its technology is legit, it would help reduce the size of files 10,000 times – from 2GB to 20KB. Oh, and it’s launching an ICO for $50 million. The startup, called DotPlay, demonstrates its “so called” compression algorithm in the latest episode of CNBC’s Crypto Trader show. In which, host, Ran Neu-Ner visits the startup to see the tech first hand. DotPlay is claiming it uses blockchain for two things: To control view rights to content; and to run its compression algorithm which can purportedly compress any digital file to a fraction of its original size. “Play can actually take every type of data and reduce it to a fragment of its size.” CEO and Co-founder of DotPlay, Shai Shitrit, told CNBC. “For example, whenever you choose to take a video and convert it to the Play file format, let’s say that video weighs 2GB, after you convert it into the DotPlay file format it will be reduced into something like 20KB.” Maybe like a real-world Pied Piper. Indeed, DotPlay suggests its technology can reduce files’ size by a factor of 10,000. Popular file compression software 7Zip, can reduce files to about a third of their original size – on a good day. Shitrit claims that DotPlay’s algorithm is functional and working today. DotPlay demonstrates the program to Neu-Ner, taking the trailer for the latest Incredibles movie – a 90MB file – and compressing it to just 472 bytes in 10 seconds. Coder, Udi Wetheimer took to Twitter to explain why this is impossible. Put simply, there is simply not enough space mathematically to compress two and a half minutes worth of video into just 472 bytes of data. Consider the last time you wrote a very basic text document with no formatting or images. I bet it was more than 472 bytes. However, there might be more to this “algorithm” than meets the eye. 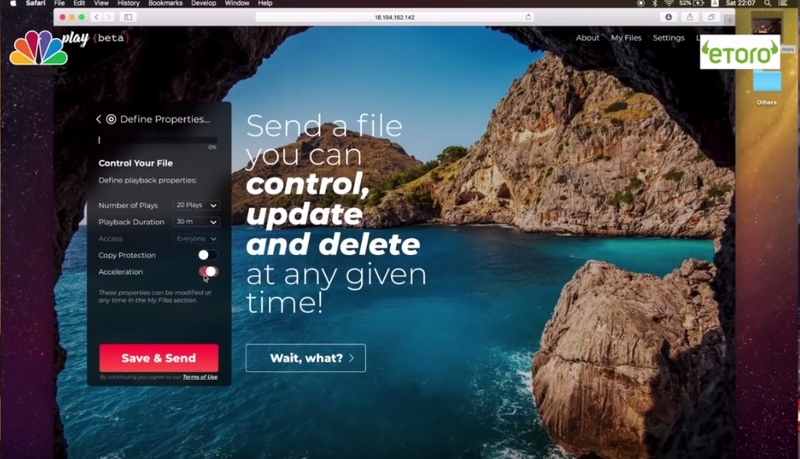 While DotPlay’s system is not yet live, the demonstration shows an interface eerily similar to that of WeTransfer, a popular, web-based file sharing service. 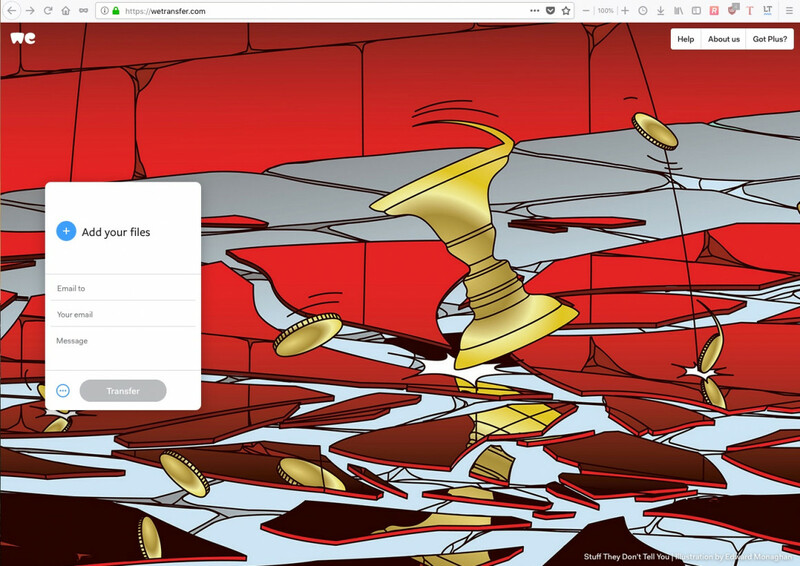 The interface has a place to drag and drop a file, and set parameters for the file, and a big button marked “Save and Send.” The parameters dictate how many times the file can be viewed, and for how long. DotPlay has yet to roll out its website, where perhaps it would also have a white paper that outlines how its technology functions. Due to the way Play was designed, the binaries it produces are much smaller in comparison to their sources. It’s not clear what the remote function does, but the writing strongly suggests that by “compressing” a file on the DotPlay system, you are actually creating a shortcut to the original file that includes the user defined data access rights. In other words, you are sending a small piece of code which could allow the recipient to access the original file via the DotPlay “shortcut”. The original file remains uncompressed and stored locally on your own computer. This is fundamentally different from compressing a file to a fraction of its original size. Now, it is not uncommon to hear about wild claims in the blockchain space, but if I were you: I’d seriously consider doing some research before throwing money at DotPlay’s ICO.